London-based hair care experts, Svenson introduced the Svenson Hair Filler, a cutting-edge hair growth Active Complex that promises to deliver clinically proven results of denser and thicker hair in 12 weeks. Alopecia Areata, has increased by 11.1% since 1990. With Svenson’s Hair Filler, which guarantees an alleviation of hair loss issues, the treatment will significantly improve the condition of the scalp and hair follicle for a fuller and denser hair growth. Joanne Yeong, Country Operation Director of Svenson mentioned that the new treatment is targeted towards those who are suffering from severe hair loss and scalp issues caused by a variety of factors. “With the advancement of technology at hand, we plan to utilise that advantage to further elevate the trichology industry in Malaysia,” she added. Embedded in this hair loss solution is the consistent release of active ingredients and patented peptides to the hair root, with its sustained time-release technology that guarantees a positive effect to the hair. 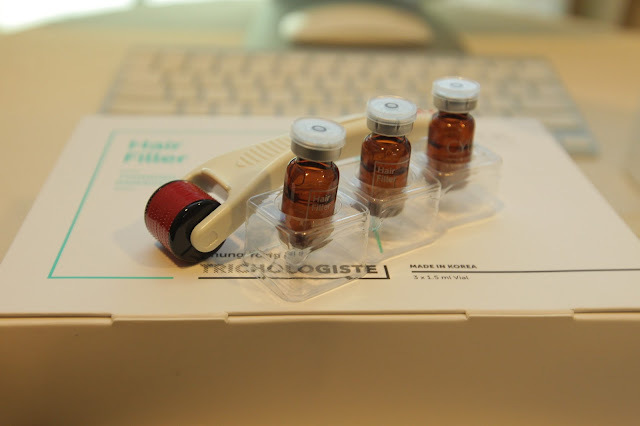 The active complex in this treatment is engineered to promote blood circulation in scalp which then helps to stimulate hair growth by increasing the size of hair follicles and further improve hair life span. Speaking about how hair loss is now affecting almost everyone regardless of age and gender, Chief Trichologist of Svenson with over 16 years of industry experience, Kim Fong mentioned that awareness on hair health is still relatively low among Malaysians. always better when a patient comes to us in the early stages of the issue” she said. According to Kim Fong, hair loss is fast becoming a 21st century disease and it is important now more than ever for people to start taking this seriously. “One thing I would like to highlight is that research has shown that the human scalp releases almost two to three times more oil than the face and despite that, most of us are only keen on washing our faces regularly but the hair is often neglected,” she said. With over 60 years of expertise in the hair and scalp care industry, Svenson strongly believes in utilising cutting edge technology and time-tested techniques to bring results for those who are suffering from hair thinning and hair loss issues. 1800 22 8333, or visit the nearest Svenson outlet.